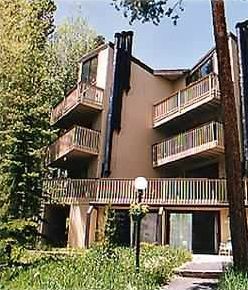 Main level, large studio located above Silverthorne on Wildernest Mtn., Silver Queen West. Minutes from I-70, Dillon, and Silverthorne. This area has many spring and summer activities and hosts many festivals and concerts. One queen sized bed(Captains -BED-QUEEN) and one pull-out(Sofa Sleeper). Fully-equipped kitchen. View of Lake Dillon and Keystone North Peak Mountains from condominium. My condominium is a well-laid out, corner unit, quiet, and with baseboard heat. Cozy!Clean! Many sports opportunities nearby.Lake Dillon 2-miles. Keystone and Breckenridge are 10 min. by car. A-Basin 15 min., Copper Mtn. is 20 Min., and Vail is only 35 minutes away. Snowshoeing and a cross-country ski trail are also available across the street! Near Buffalo mountain, minutes from Outlet stores and Lake Dillon. Enjoy a hike to Lilly Pad Lake. Local FREE bus system. I value your enjoyment and satisfaction and can assure you of a clean and comfortable condo for use during your vacation. Call for special prices on stays longer than one week. Iam a Local Monoskiier have been skiing in this area since 1975. Have information on all the Ski-areas. Ask.. I liked the Location of this Complex.Wilderness area across the street,Good View of Lake Dillon,Quiet location..